There are kid friendly Las Vegas restaurants where your family can enjoy a great meal. The selection of kid friendly eateries offers a wide variety of cuisine for your family to eat from delicious hamburgers and milkshakes to tasty Italian dishes to traditional comfort food like chicken fried steak and there are options for pizza as well as authentic tacos. Many of the establishments even provide a children’s menu with reduced pricing and a smaller choice of dishes to make eating easy. Whether you are looking for quick style service or a casual atmosphere there is a superb dining option that is just right for you and your family. 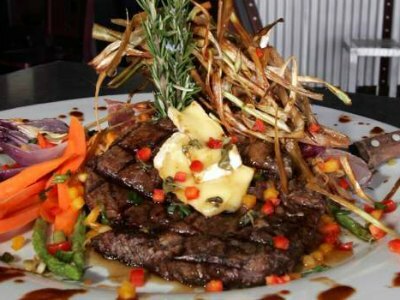 When you are looking for large portions of quality heartland food which is available 24-hours a day then a perfect kid friendly Las Vegas restaurant for your family to try is Hash House a Go Go. Located within LINQ Hotel, Hash House A Go Go has been featured on Man v. Food and serves huge portions of everything on their menu. Children will like that they can eat pancakes, waffles, hamburgers and sandwiches no matter what time of day or night. The hamburgers weigh over one pound and are a big hit with everyone. The quality of the comfort food is superb with daily Blue Plate specials such as chicken fried steak, homemade stuffed meatloaf and a big o’ chicken pot pie. The brunch menu mixes and matches items from a crispy hand hammered pork tenderloin to a meatloaf sandwich to your favorite egg dishes. When you want to dine on some great Italian dishes in a casual atmosphere with your family, then a superb kid friendly Las Vegas restaurant is Buddy V’s Ristorante. Located within the Grand Canal Shoppes at the Venetian, Buddy V’s Ristorante was created by TLC’s Cake Boss Buddy Valastro and serves homemade Italian cuisine for lunch and dinner as well as a weekend brunch. 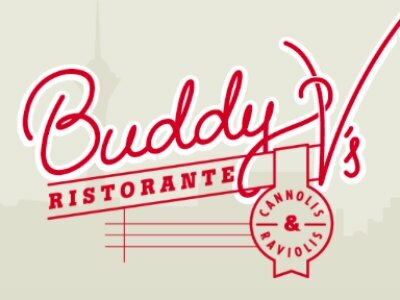 The children’s menu is perfect at Buddy V’s Ristorante with specialties for the little ones like a cheese pizza, mac-n-cheese, meatballs, spaghetti and chicken parmesan. Adults can indulge in tasty Italian dishes that range from a smashed meatball sub to Nona’s lasagna al forno to the Valastro Sunday gravy. Desserts are a crowd pleaser here too with a warm Nutella cake a must eat. Weekend brunch features a brilliant buffet that is sure to please everyone in the family as well as bottomless drink options. Holsteins Shakes and Buns is an ideal kid friendly Las Vegas restaurant for diners who are looking for quality food and amazing milkshakes. Located within the Cosmopolitan Hotel, Holsteins Shakes and Buns prepare a menu which is mainly dominated by hamburgers for lunch and dinner. Children like the variety of hamburgers that range from the Golden Standard to the Classic and the sweet potato fries are a big kid pleaser. The huge milkshakes are rich and delicious with flavors that range from a banana split to raspberry. Adults can indulge in a tasty Rising Sun burger which features Kobe beef and the alcohol infused milkshakes will certainly brighten an adult’s day. The alcohol infused milkshakes can also be ordered without the alcohol which increases the selection of old fashion milkshakes for everyone. In addition there is a limited appetizer menu which offers everything from chicken wings to ahi sliders to fired cheese curds. 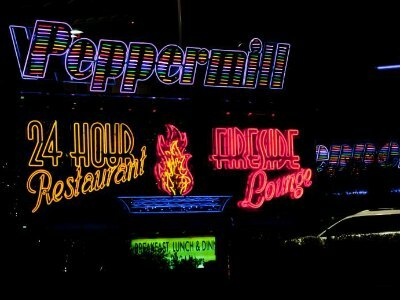 A perfect kid friendly Las Vegas restaurant that offers a great variety of dishes 24-hours a day is the Peppermill Restaurant and Fireside Lounge. 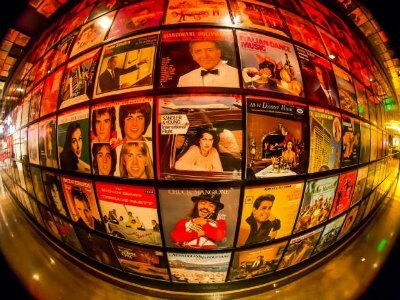 Located on the Strip between the Wynn and the Riviera Hotel and Casino, the Peppermill Restaurant and Fireside Lounge serves a complete menu that will surely please everyone in the family. The menu offers numerous selections for children and with breakfast available anytime of the day children really like the assorted pancakes available. Other great items for children are the sandwiches which range from a gyro to a BLT with avocado to a philly cheese steak and hamburgers are served with a variety of toppings. There is everything for adults from a southwest chicken salad to a New York steak served with fettuccine. Gourmet sundaes are a hit for dessert with the banana split leading the pack. 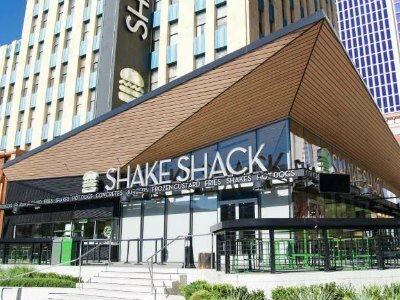 If you are searching for a quality quick service kid friendly Las Vegas restaurant that brings value to your meal then you need to go to the Shake Shack. Located in the MGM New York New York, the Shake Shack offers delicious food from lunch until the wee hours of the morning. Children really enjoy the traditional style hamburgers made from Angus beef and 100% pure beef hot dogs that can be served with a variety of toppings. The milkshakes are masterful with the All Shook Up shake being the real crowd pleaser. Fries are perfect for everyone and diners rave about the cheese fries. There is something here for everyone in the family including vegetarians and the quick service s style with quality eats will surprise your taste buds. 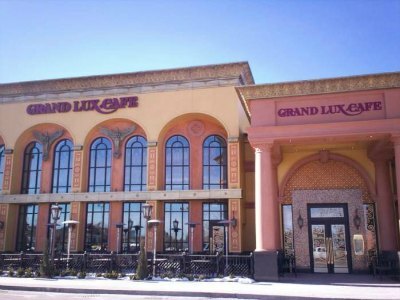 When you need to find a kid friendly Las Vegas restaurant that offers a diverse menu for everyone to enjoy then you should eat at the Grand Lux Cafe. Located within the Venetian, the Grand Lux Cafe is a sister restaurant to the Cheesecake Factory and offers a variety of delights for all three meals including a weekend brunch. Children like the Grand Lux Cafe because of the pizzas, pastas as well as hamburgers made with Angus beef. The bakery and breakfast buffet at this establishment is perfect for children and offers a great selection of traditional breakfast foods, sweet breads, pastries as well as muffins. Adults can indulge in authentic tasting pasta or try one of the house specialties such as the braised pot roast, chicken pot pie and the Sunday night pasta is a big favorite. Weekend brunch offers a children’s menu and plenty of goodies for adults. When your family wants to experience one of the most unique hamburger experiences in their lifetime in kid friendly Las Vegas restaurant then you should dine at the Burger Bar. 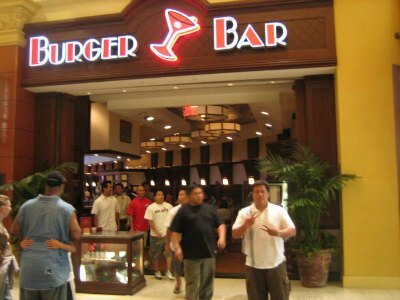 Located inside the Mandalay Bay, the Burger Bar was created by legendary chef Hubert Keller and features scrumptious burgers for lunch and dinner. Children love this establishment for a variety of reasons including the selection of fries, sundaes and the mouth-watering milkshakes. Everyone will enjoy building their own hamburger with the exact flavors they want to eat and you can mix and match a variety of fries for the table. Another great thing about the Burger Bar is the variety of meats available for you to choose which range from Angus beef to buffalo to turkey to veggie patties. You can also try one of the house specialty burgers like the peppercorn burger, the hangover burger and the spicy lamb burger is a hit. 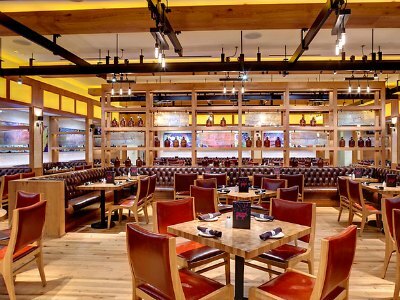 A great kid friendly Las Vegas restaurant that has something on the menu for everyone especially the little ones is Guy Fieri’s Vegas Kitchen and Bar. Located inside the LINQ, famed television and celebrity chef Guy Fieri brings exciting casual American foods to the table for all three meals. The menu is diverse with plenty of great eating choices for foodies and their children. The atmosphere is light and casual with plenty of entertainment to found watching the open kitchen at work. Children can indulge in such goodies like the bacon mac-n-cheese burger, double-barrel BBQ wings and some trash can brisket nachos. Adults will love selection of eats that range from the motley que sandwich to American royal ribs to the southern smothered chili bowl. Guy’s cheesecake challenge has enough for everyone to have a bite and is a superb way to end your meal with the family. 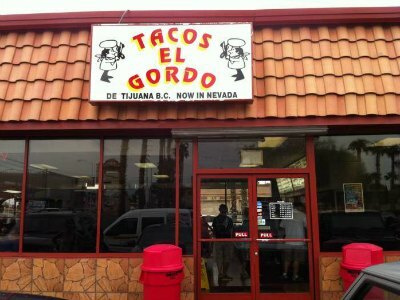 If you are looking for a Mexican kid friendly Las Vegas restaurant which prepares authentic tacos and other Mexican delights then you should take the family to Tacos El Gordo. Located on the Strip near the Wynn, Tacos El Gordo prepares everything from scratch and is open for all three meals. This quick service style restaurant will make everyone’s mouth water with specialty tacos made with adobada, chorizo, carne asada, suadero and even unique cuts of meat such as cabeza, lengua as well as tripa. Children will be happy with a quesadilla, a tostada or the cheese fries. 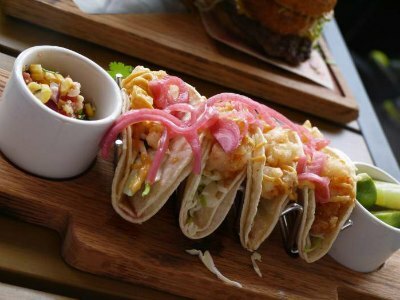 Tacos are served individually so you can order a variety of flavors for the whole family. The flavors at Tacos El Gordo are as authentic as you will find anywhere south of the border and the sopes as well as the mulas will bring a smile to your taste buds. One of the best places for pizza on the Strip and a perfect kid friendly Las Vegas restaurant is Secret Pizza. Located on the third floor of the Cosmopolitan, Secret Pizza might be a little hard to find but you will be rewarded with delicious New York style pizza for lunch and dinner. Secret Pizza offers pizza by the slice or whole pie that is leaving customers with lasting memories. You can order a variety of toppings or choose a slice they have ready to eat. Waiting for a whole pie whether you want traditional or Sicilian style crust is well worth the time. Seating can be a challenge at times but you can always have the kids play pinball while wait for a table or your pizza.